Apple has recently launched iPhone 7 and iPhone 7 plus in its smartphone series in the current year. Apple iPhone is the most preferred smartphone now a days in the world. One can get good return even for used iPhone model. Due to this high demands of iPhone, possibility of iPhone to be stolen at its pick point. But you can not need to worry about the security of your iPhone as well as the data on it. Apple already implemented the way to find out your lost iPhone. 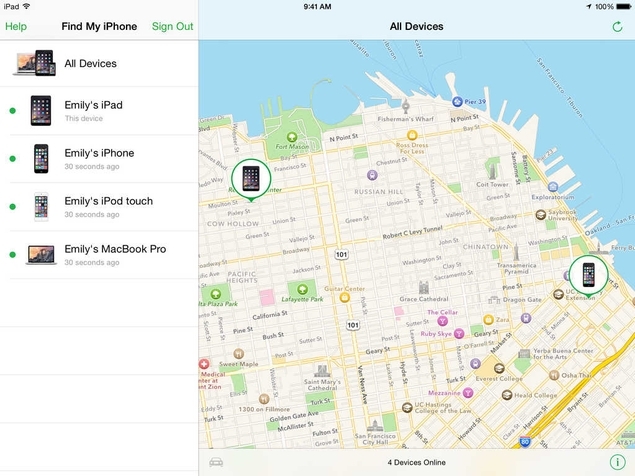 Apple has given the Find My iPhone feature integrated in iPhones and iPads to find your lost device. To ensure that how will you find your lost iPhone, you have to follow the simple steps below to safeguard your device. Go to Setting app on your iPhone and head to iCloud. Tap on Find my iPhone in that. Turn on the Find My iPhone and Send Last Location functionalities. Go back to the Settings and open Privacy. Under privacy, open the Location Services. If you lost your iPhone somewhere, you can find out it using Find My iPhone app on another device or can go to the https://www.icloud.com/ and select the Find My iPhone option by signnign in with your iCloud account. Choose the iPhone you lost from the list of your devices that you can see on the screen. The app will show you the last location of your iPhone. It also gives you the option to lock it, wipe out the data and sound out an alarm.